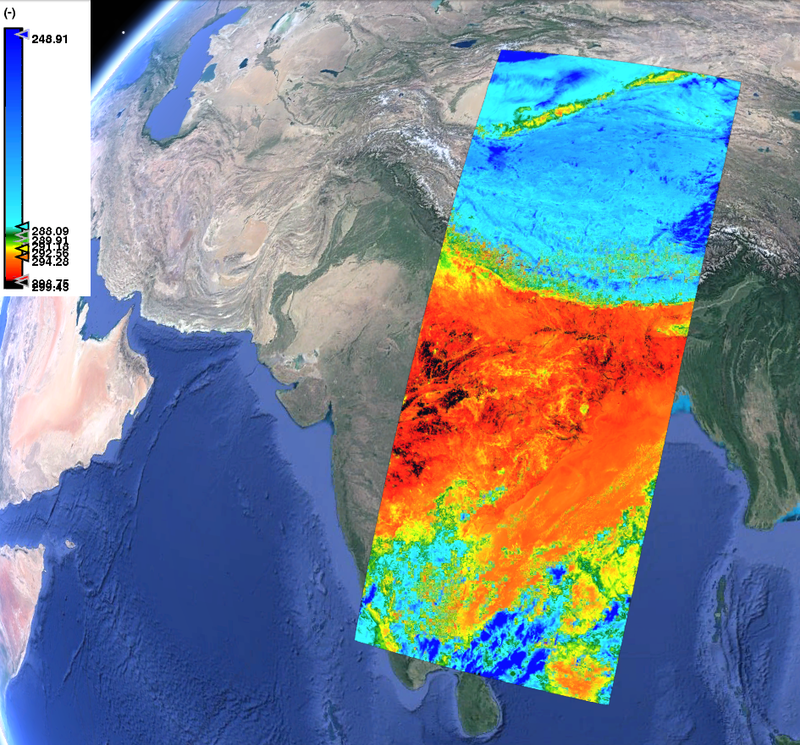 One of the first published images (publishing started on November 17th) of Sentinel-3A SLSTR L1 NRT products. Those images are mosaics composed by three consecutive SLSTR products. The second image is the SLSTR ninth wavelength radiance, 12 µm of wavelength. This spectral response belongs to the Long-wavelength infrared, or “thermal” infrared, thanks to that it is possible to have an overview of the temperature distribution all over the region.